Sarri wants to beef up the midfield this season. Chelsea are more midfield enforcements under new manager Maurizio Sarri and they search has again taken them to the Serie A. According to Sky Sports Chelsea are in talks with Inter Milan to sign midfielder Matias Vencio. Matias Vencio is an Urguganian international and he played in all four matches for Uruguay in the World Cup 2018. The 26-year-old is known for his passing skills and he is very good at holding the ball as well. Last season he made 27 appearances for the Nerazzurri scoring three goals as Inter Milan qualified for the Champions League. 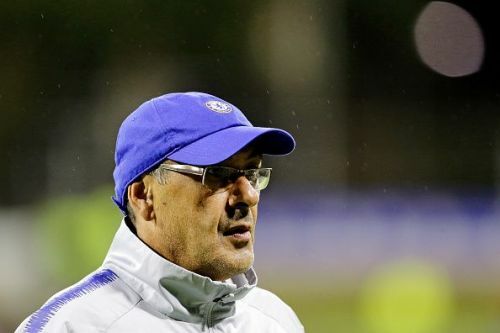 Also, he has previously worked with Maurizio Sarri during his time at Empoli in 2014/15 and he knows how the Sarriball system works. Inter Milan are demanding somewhere around £32 million for their midfielder and now the ball is in Chelsea's court to make a decision. Sarri is keen to further bolster his squad and has requested the Chelsea board to complete the signing of the Uruguayan. Though Sky Sports are one of the most reliable sources but Chelsea already have a good number of options in the midfield with Fabregas, Jorginho, Kante, Loftus Cheek, Bakayoko, and Drinkwater. But the fact that he has previously played under Sarri and knows how the Sarri ball system works could be a reason as to why the Italian is keen to bring him to Stamford Bridge. There are hardly 10 days left for Chelsea in the transfer market as the transfer window for Premier League clubs closes on 9th August. If the Blues really want to sign the midfielder they will have to hurry up and time running out for them. Also, his arrival could mean the departure of either Danny Drinkwater or Bakayoko as both of them had a disastrous first season at Stamford Bridge.